What the heck are natural flavors? 1) Who is responsible for creating and testing the safety of this popular ingredient? 2) What’s the difference between natural flavors and artificial flavors? 3) Are natural flavors more nutritious than artificial flavors? 4) Why on earth do we need natural flavoring when food is naturally flavorful? 5) Are natural flavors harmful to health? 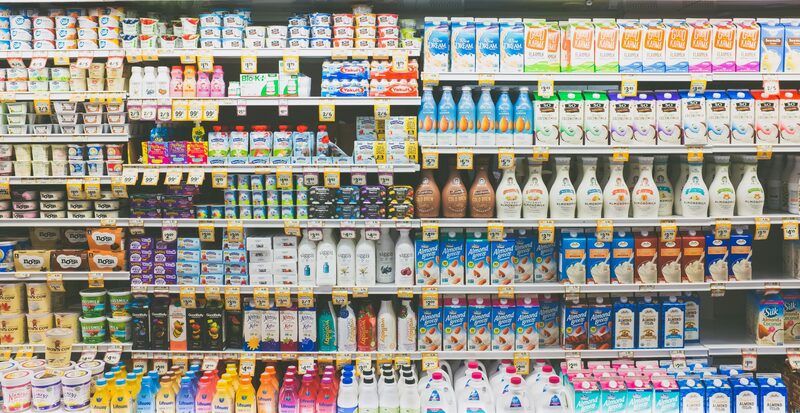 If you read food labels, odds are you’ve stumbled across the ingredient natural flavors It is, after all, the fourth most common ingredient following salt, water, and sugar. Kind of crazy, right? I mean, salt, water, and sugar are basic, recognizable ingredients. Natural flavors, on the other hand, is a different story. This stirred up my pot of curiosity – what exactly are they and why is this discrete ingredient so popular in our food supply? The results might surprise you. In this article, I’ll define exactly what natural flavors are as well as answer 5 thought-provoking questions on the topic. Here’s a very basic, condensed summary. Natural flavoring is an ingredient that’s derived from plant material or an animal source. Flavor compounds are extracted from a plant or animal (aka a “natural” source), purified (or cleansed), and then added back to food for flavoring purposes. Natural flavors don’t offer nutritional value. Instead, they’re solely used to enhance the taste of packaged food products. Who is responsible for creating and testing the safety of this popular ingredient? What’s the difference between a natural flavor and an artificial flavor? Are natural flavors more nutritious than artificial flavors? Read further as I dive into each of these questions! Professional flavorists, or flavor chemists. Yes, it’s a real career! In fact, it’s highly specialized and requires extensive training, including a seven-year apprenticeship after university education. Shockingly, there are only 500 professional flavorists that diligently create and oversee the flavor additives used in the U.S. food supply. That’s impressive, especially considering the vastness of packaged foods on the shelves today. Flavor chemists work tirelessly to meet the palatable demands of the consumer all whilst following strict safety guidelines and complying with food production rules set forth by the FDA and USDA. The Flavor Extract Manufacturers Association (FEMA) is also involved in this process. FEMA includes a panel of brilliant scientists and medical experts responsible for thoroughly studying and vetting various flavor compounds. As you can see, this is not a short or simple process. Natural and artificial flavors go through extensive testing before being welcomed into the nation’s food supply. Natural flavors come from a natural source (who knew?) like plants and animals. On the other hand, artificial flavors are made in a lab. Although natural flavors sound more organic, they’re actually very similar to artificial flavors. David Andrews, a senior scientist at the Environmental Working Group (EWG), explains that “the differentiation is really down to the origin of those molecules, whether synthetically processed in a lab or purified in a lab but from a natural source.” He also explains that the chemical structure of a natural flavor is oftentimes identical to that of an artificial flavor. To add to the complexity, artificial flavors are often simpler and require fewer ingredients than natural flavors. “Say what? What do you mean fewer ingredients?” Artificial and natural flavors can contain anywhere from 50-100 ingredients, including various preservatives and emulsifiers. This is intriguing because when I think of a flavor, I think of one ingredient. Let’s use lemon as an example. I think of the lemon flavor as a single ingredient – LEMON! But realistically, that lemony flavor is actually a result of various chemical compounds within the lemon that combine to make that distinct, jaw quenching flavor. Similarly, natural and artificial flavors require multiple ingredients to achieve the flavor profile of a single whole food. Consumers may feel that natural flavors are the superior choice, mainly because the word “natural” seems like the most organic option. However, they are no more nutritious than artificial flavors. In fact, natural flavors do not contribute to calorie, macronutrient or micronutrient content. Beyond that, flavor chemist Gary Reineccius explains that natural flavors may have more of an environmental impact than lab-created artificial flavors because of forest cutting and carbon emissions. Artificial flavors don’t sound so bad anymore, am I right? If you investigate the label of orange juice, you’ll more than likely see “natural flavors” on the ingredient list. Why? Flavor enhancement. Tropicana, a big name in the OJ industry, exposes their orange juice to heat through a process called pasteurization. Many chemicals evaporate or degrade during the process, which isn’t inherently a bad thing for food safety reasons. However, it can have a negative impact on flavor. With this in mind, natural flavors are added to the product after heat exposure to make the OJ taste fresh again. This is why we have access to delicious mimosas year round instead of just during orange growing season. Praise. 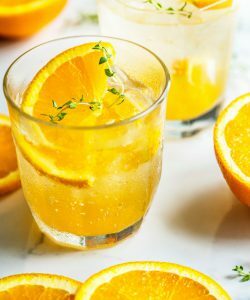 Are the natural flavors added to orange juice derived from oranges? That’s a head-scratcher. Chef Bruce Mattel, senior associate dean of culinary arts at The Culinary Institute of America, says that “when consumers see natural flavor on a beverage label, they shouldn’t assume that someone is zesting oranges into their bottle. Even though natural flavor must come from natural sources, it need not all come from the plant or meat whose flavor is being mimicked. 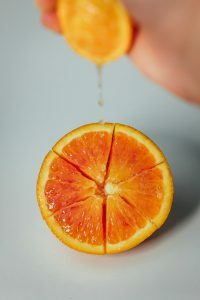 For example, the orange flavor might contain not only orange extract but also extracts from bark and grass.” Interesting. Furthermore, there’s a cost advantage to natural flavors. Surprise surprise, right? Reineccius explained that “At one time, there were 10 times more grape-flavored products than grapes that are grown. If you’re going to use all your grapes on grape soda, you don’t have any for wine.” And that would be considered a tragedy. In summary, natural (and artificial) flavors allow food companies to meet consumer demand. Andrews explained that “the amount of preservatives and solvents in natural flavors is too small to be linked to any ill health effects.” The biggest concern is the lack of transparency. It’s impossible for the consumer to know what’s in their food product with an ingredient as vague as natural flavors. Beyond that, Vandana Sheth, spokesperson for the Academy of Nutrition and Dietetics, believes they may induce food cravings in people. That’s not surprising as the goal of this ingredient is to make food more appealing and satisfying. Although natural flavors aren’t directly linked to disease, a diet high in processed foods is. Therefore, it is important that the majority of your meals and snacks are coming from those whole food products. They offer flavor and shelf stability for convenient food options, which we all rely on at times because life gets crazy. It allows companies to meet consumer demand without using whole foods, but rather using science and chemistry to mimic whole food flavors. However, this isn’t a pass to eat foods that contain natural or artificial flavors. It’s important to focus on whole foods like fresh fruits and veggies, beans, lentils, lean meats, and wild-caught seafood. Tori Eaton is a registered dietitian and passionate nutrition nerd. She received her Bachelor's of Science in Dietetics from Missouri State University and went on to complete her graduate certificate from Iowa State, which included a month of research in rural India. She is an active member of the Academy of Nutrition and Dietetics as well as Dietitians in Integrative and Functional Medicine. She discovered her love for nutrition through her own struggles with irritable bowel syndrome (IBS) and chronic dieting. 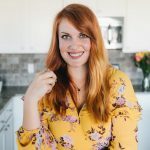 Her experience and recovery sparked a passion for women’s health and sharing honest, evidence-based facts in a world full of nutrition confusion. In 2017, she started Eaton Wellness, LLC in beautiful Northwest Arkansas. In her free time, she enjoys traveling, reading, and spending time with family.